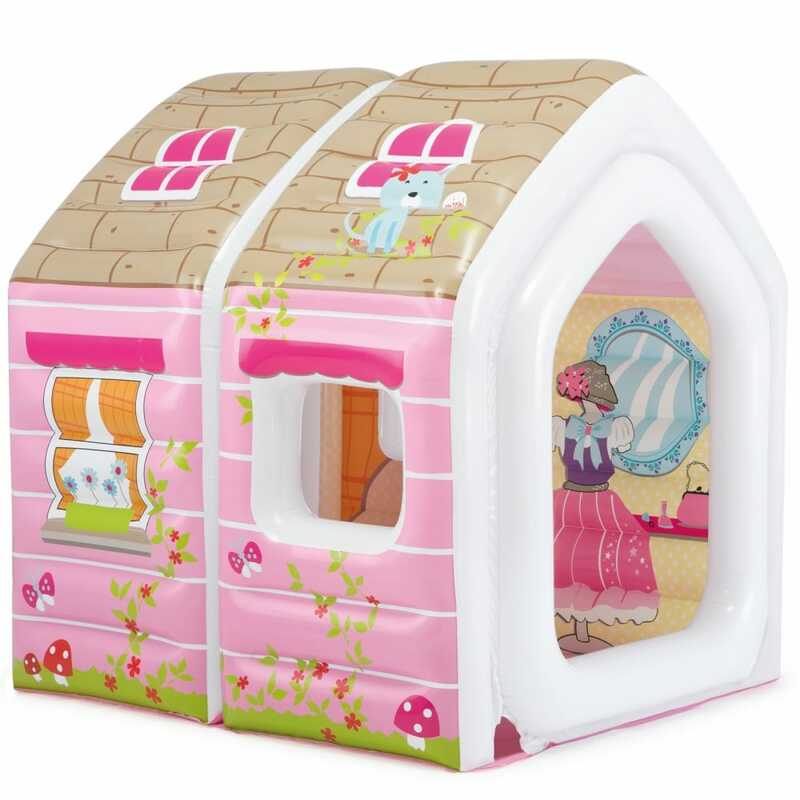 The inflatable play house with its own arm chair and table is great for having fun indoors on rainy days and great outside in the garden. Open the house to invite friends for afternoon tea! easy to set up, complete with arm chair and table. Ideal for rooms that are limited on space, folds up flat for easy storage. A bit about the brand: Intex are dedicated to developing and manufacturing the highest quality products that not only provide the best value in price, but are innovative, fun and exciting. Producing water toys, pools and boats for the family to enjoy. I bought this for a 4yrs old angel, and she was very happy to see it, great size for her age. While the chairs are good size too, your room-space will need to accommodate for the chairs to be outside (or at least one). It blew up using a cheap electrical pump (EP) pretty fast. It feels sturdy.